Run Oregon was Blown. Away. "Trust me, this the latest addition to YOUR "Running Bucket List". You won't regret it. Be prepared to be blown away." ".The chute is both exhilarating and terrifying. So many miles of being out there on your own, and suddenly you’re surrounded by hundreds of people all going crazy, cowbells and chants going off like an exorcism. And your throat tightens up, and tears well in your eyes, and your body shakes, and you do all you can to just get across that finish line." "...there's no question I will run the Bend Marathon again. Right in our backyard, it was pretty, had fun participants and volunteers and included a challenging course....I'm excited to see it evolve into a destination event." 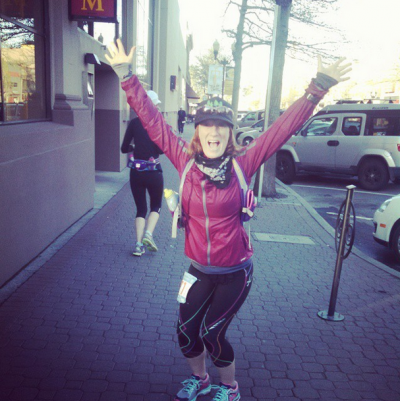 "I thought the course was BEAUTIFUL and did a nice job of going through a lot of great portions of the city, including downtown Bend (Wall Street), several parks (Farewell Bend Park; Riverbend Park; Drake Park), the Old Mill District, and great views of the Deschutes River. The race directors did a fabulous job of creating a course that will give runners and walkers a great snapshot of all that Bend has to offer. I also loved all of the fabulous volunteers on the course--their energetic cheers helped a lot!" "This course did not disappoint! The elevation gain got me on my fight up the Scenic Byway, but I loved the challenge as I needed this in my training for my first ultra at the end of May. Kerry Loehr and Blair Hook (the Gorgeous Guys as I call them) were there at the end cheering everyone on and even apologized when I told them that the course got me!" 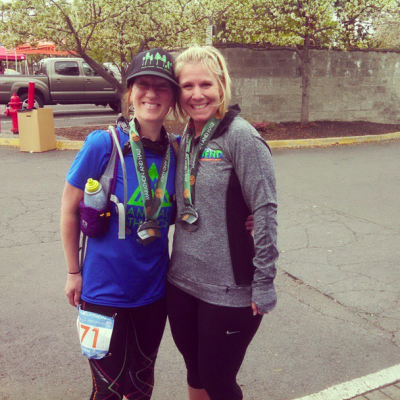 "I’ve decided to focus on 10 solid reasons you should add Bend Marathon to your Bucket List. 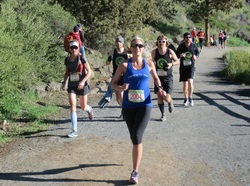 These are really in no particular order, because the Bend Marathon (and half) embraces the entire package." 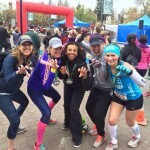 "The race organizers really did a great job of laying out a great course and getting the residents of Bend to come out and show support for runners. There is a good chance that I will add this as an annual event to my race calendar to show support for our local running community. Hopefully we will see it grow each year and bring people from all over." Running favorites has more reviews!! 5.00 star rating (out of 5) (4 reviews). Read the reviews, and/or create your own!